The two studies you sight in the cancer section as evidence of cancer killing potential are actually studies done on plant biochemistry and have nothing to do with cancer. If there are any studies that suggest cancer killing or cancer inhibiting potential of THCA please list them otherwise it should not be credited as anti cancer if there is no evidence to support the claim. You are quite right and that is what I get for glancing over the abstracts without digging in a little more. THCa has been shown to help with cancer but those linked studies provide better evidence of its insecticidal properties. Here are a couple studies on its cancer fighting properties. As with virtually all cannabis research actual scientific studies are limited due to the government’s block on any research. 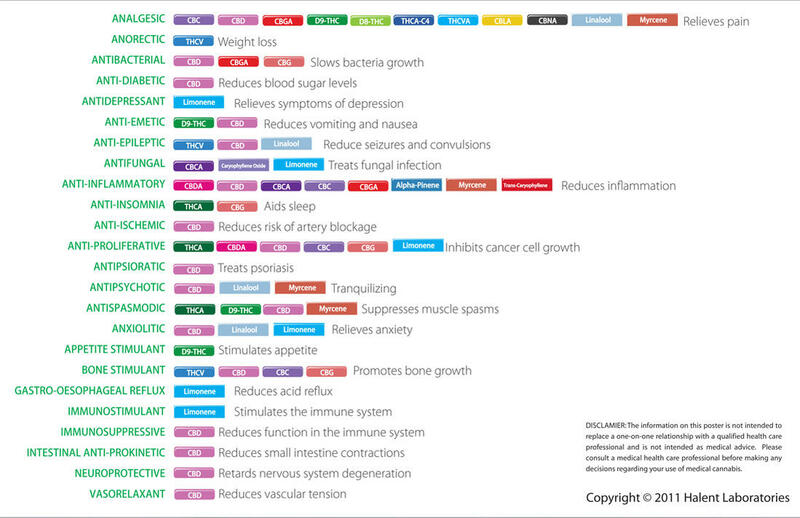 Most ‘sources’ are websites like this one (http://www.cbdscience.com/thca-tetrahydrocannabinolic-acid.html) that make claims without the backing of research. Thankfully we have the cannabis research laboratory SteepHill to step in and provide evidence from their testing that THCa is anti-tumor (http://steephilllab.com/resources/cannabinoid-and-terpenoid-reference-guide/). I’ll go edit the post with those new links monumentally. Thank you for bringing my sloppiness to my attention. Thank you very much for bringing those errors to my attention Matthew, and thank you for reading!